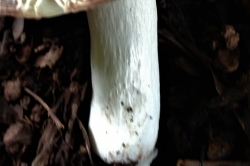 The powdery nature of the caps of this mushroom make it one of the slightly easier Russulas to identify. 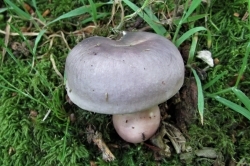 Grey, blue sometimes with a hint of green or even a violet tinge around the edge of the cap with a matt finish. 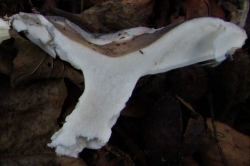 Can feel a bit greasy when wet. 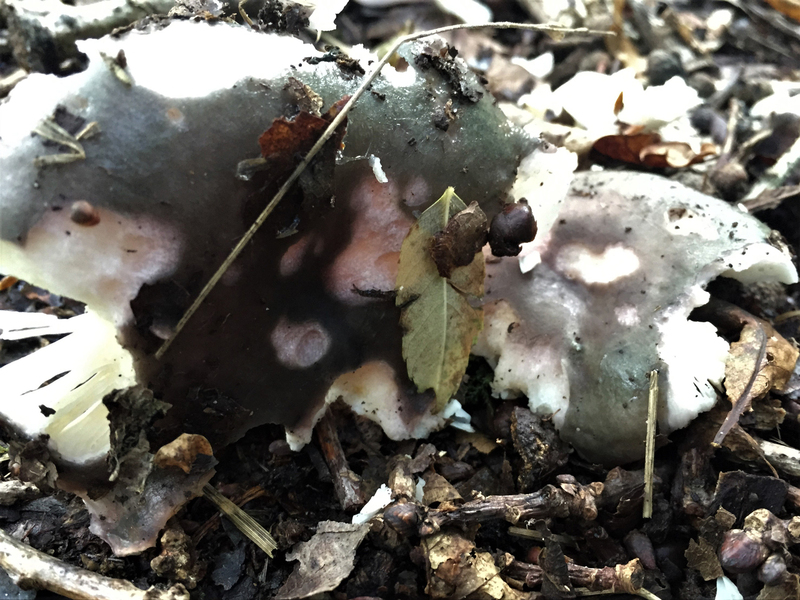 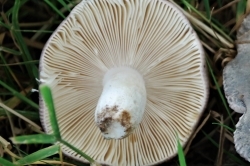 The powdery bloom can wash off in older mushrooms. 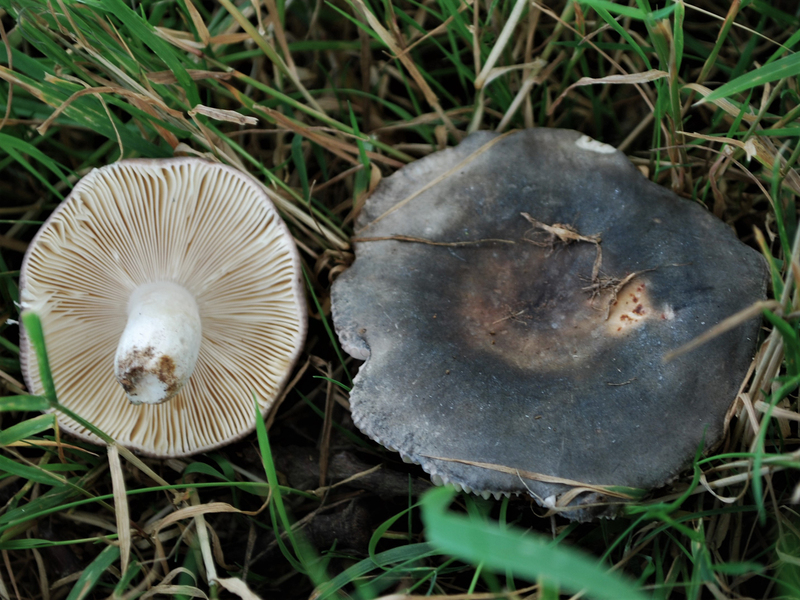 Gills white to cream and attached to the stem. 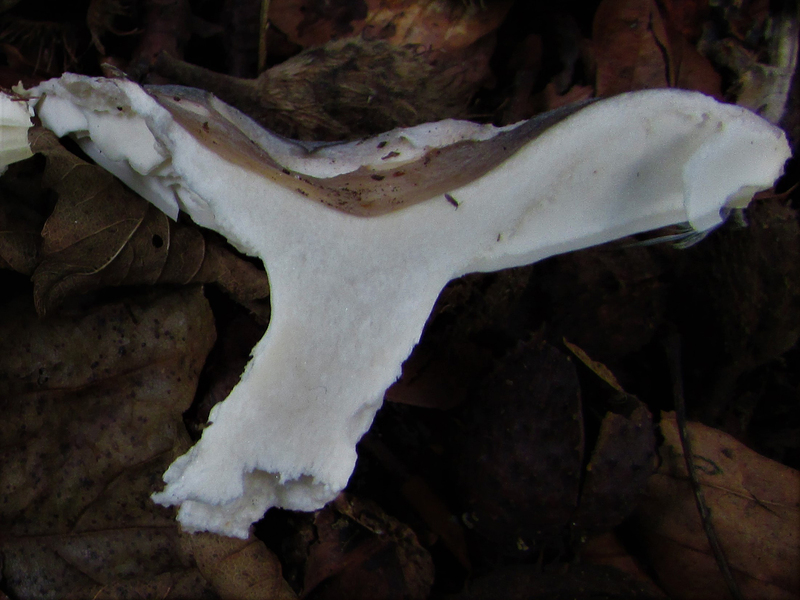 Crowded. 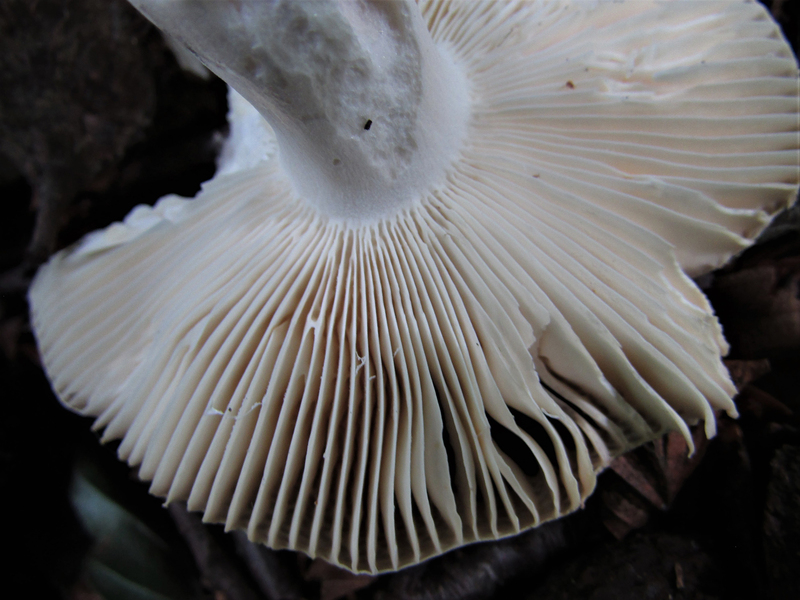 Brittle to the touch. 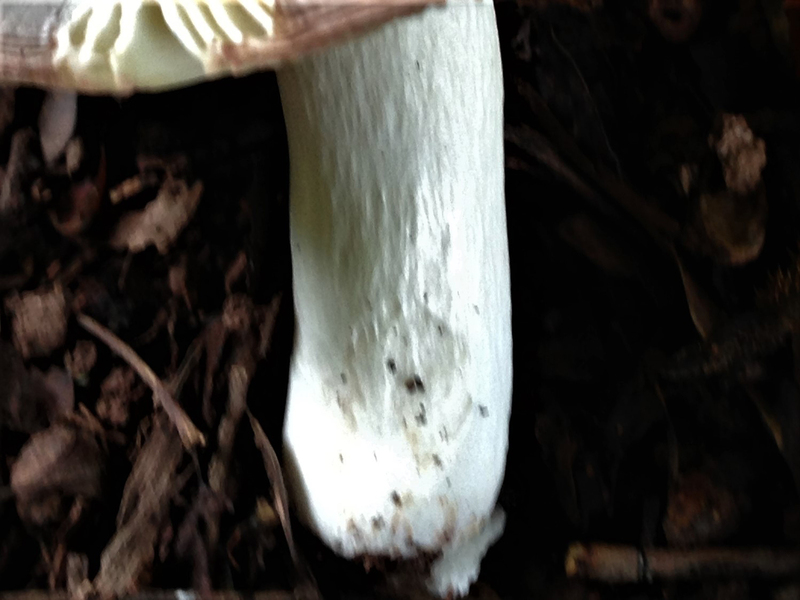 White and when snapped feels a bit like chalk. 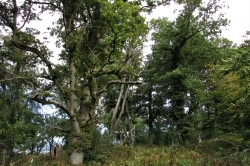 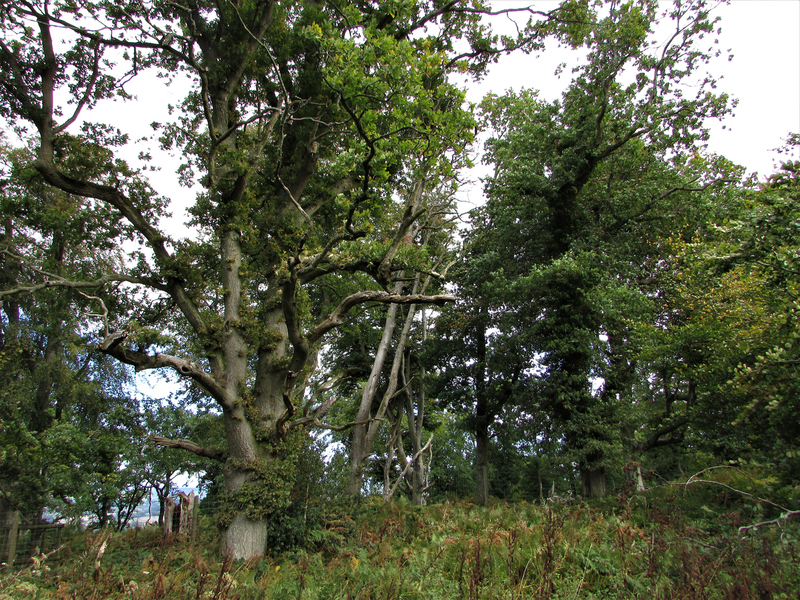 Broad leaved woodland especially oak or beech and occasionally with pine. 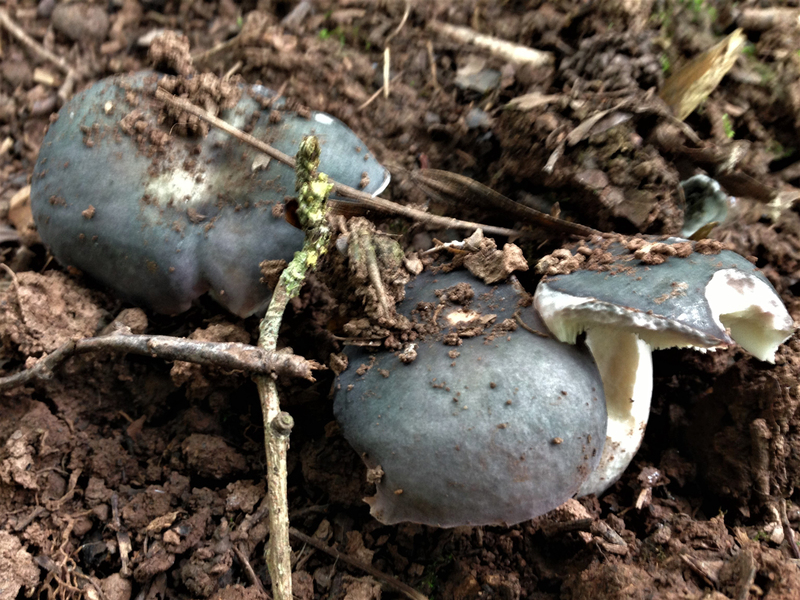 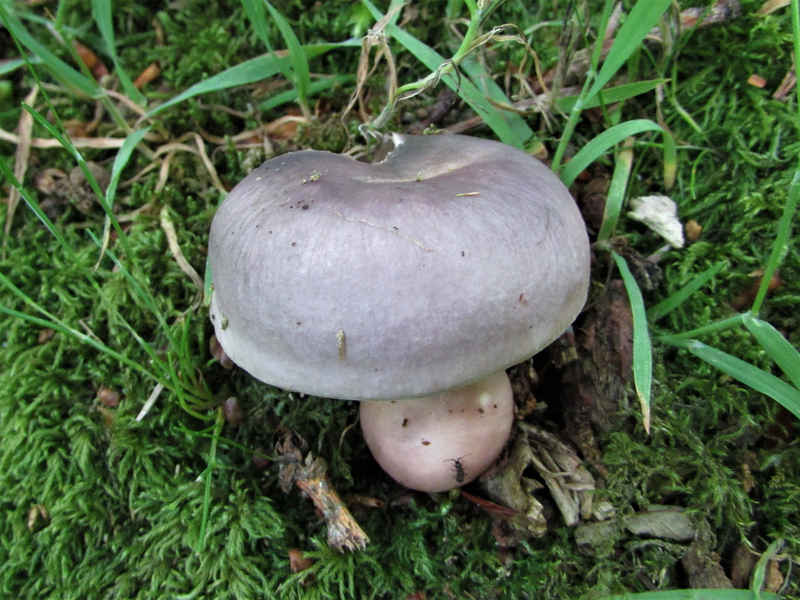 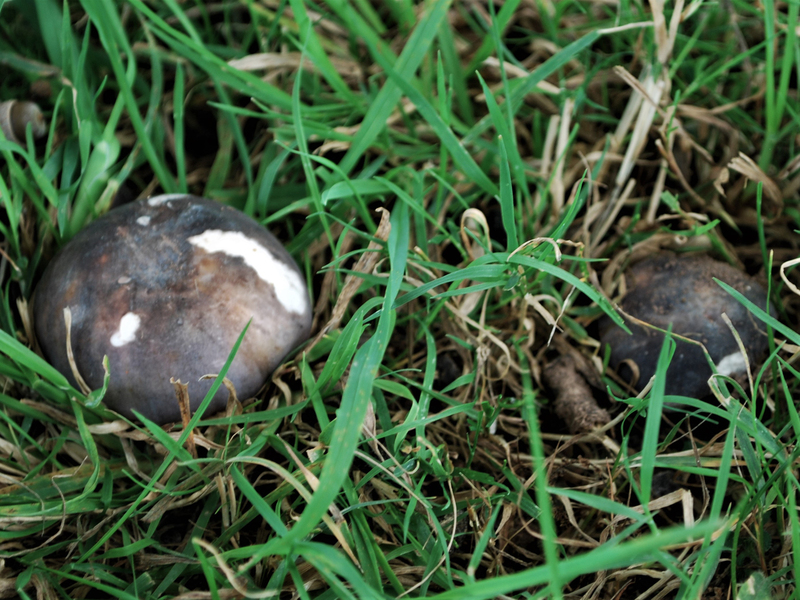 Other grey Russulas like the Charcoal Burner, pictured, but these are edible if tested with the taste test, see identifying Russulas. 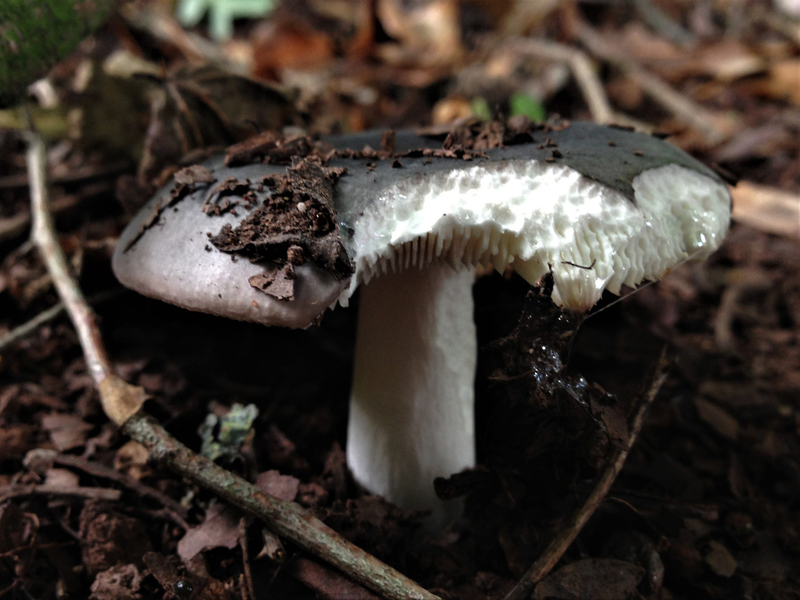 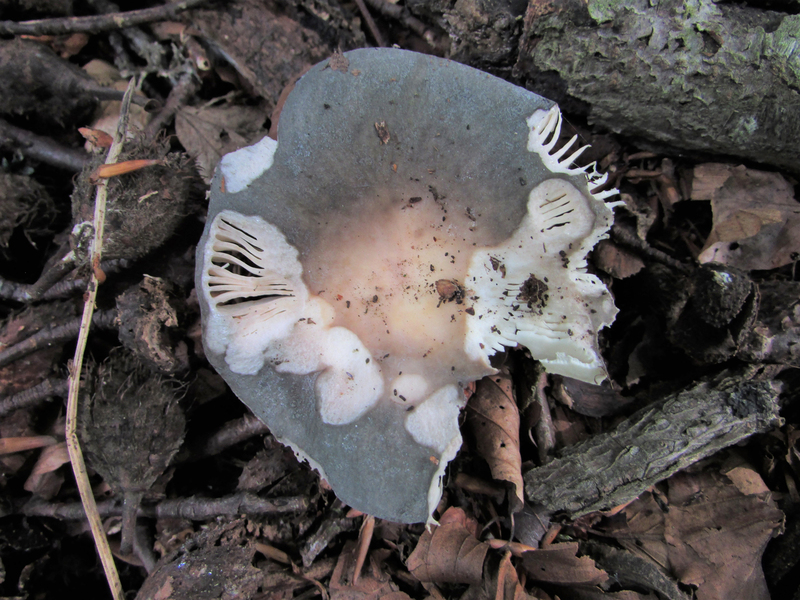 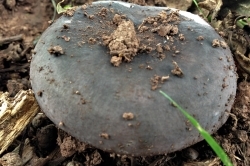 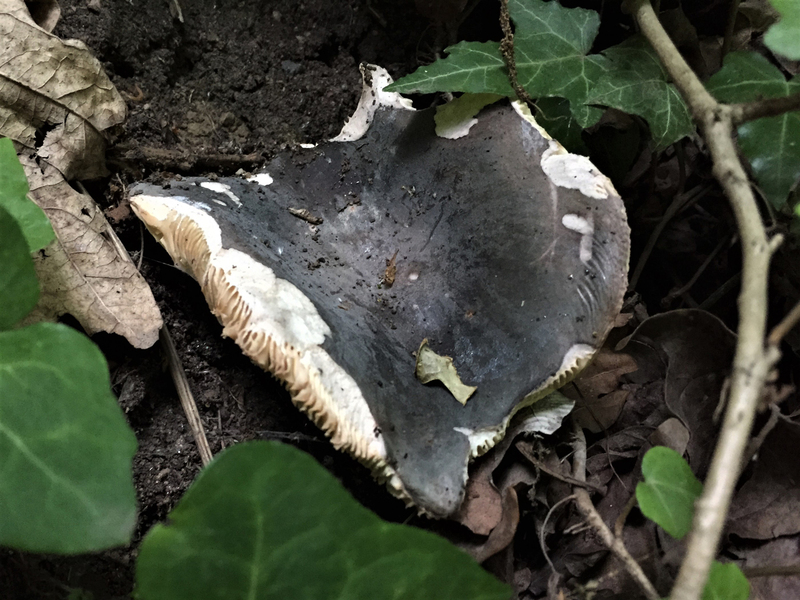 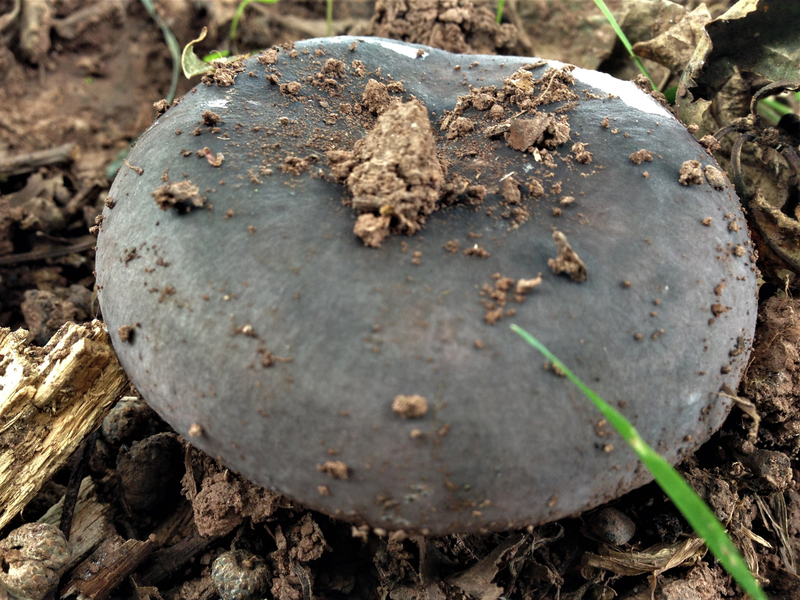 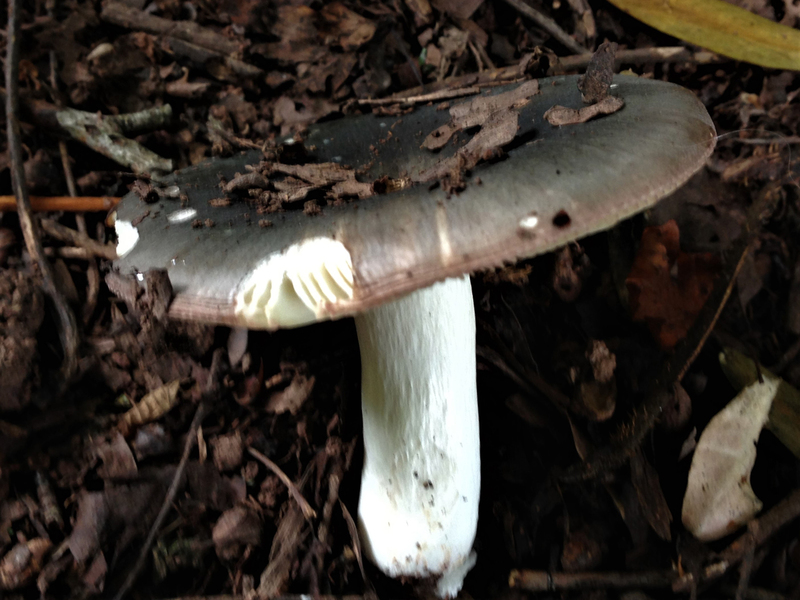 The distinctive ‘powdery’ matt cap helps with the identification of this mushroom. 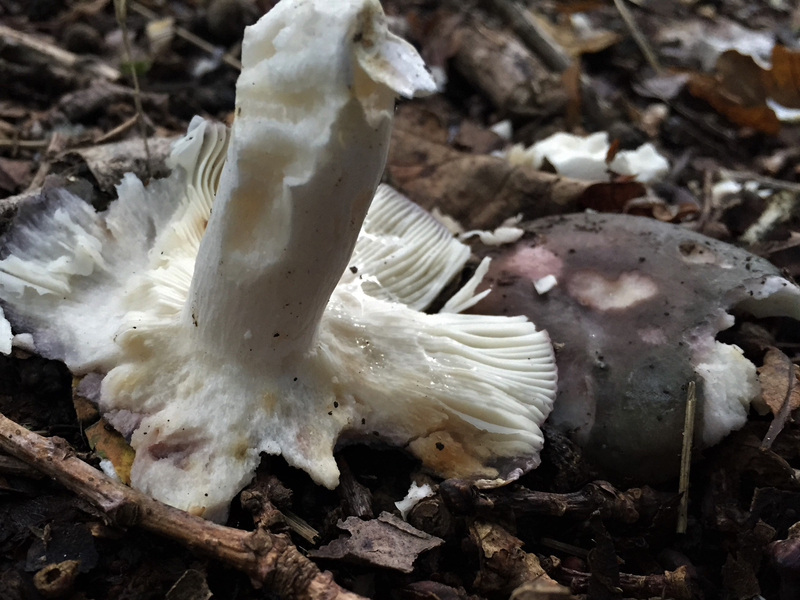 Mushroomy, mild but can be slightly hot . 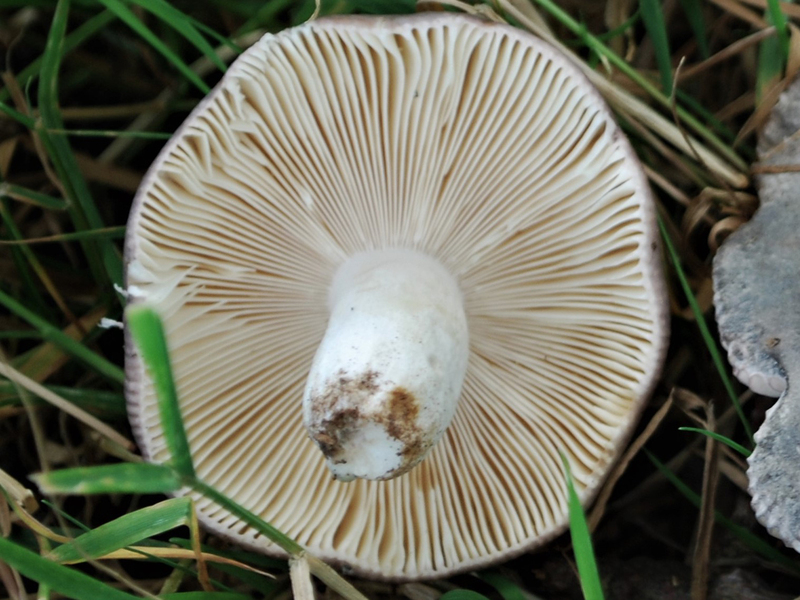 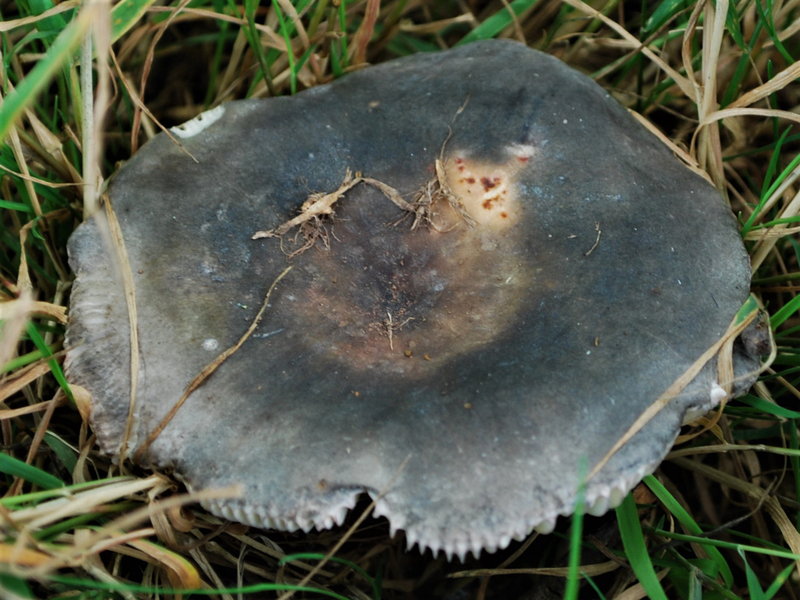 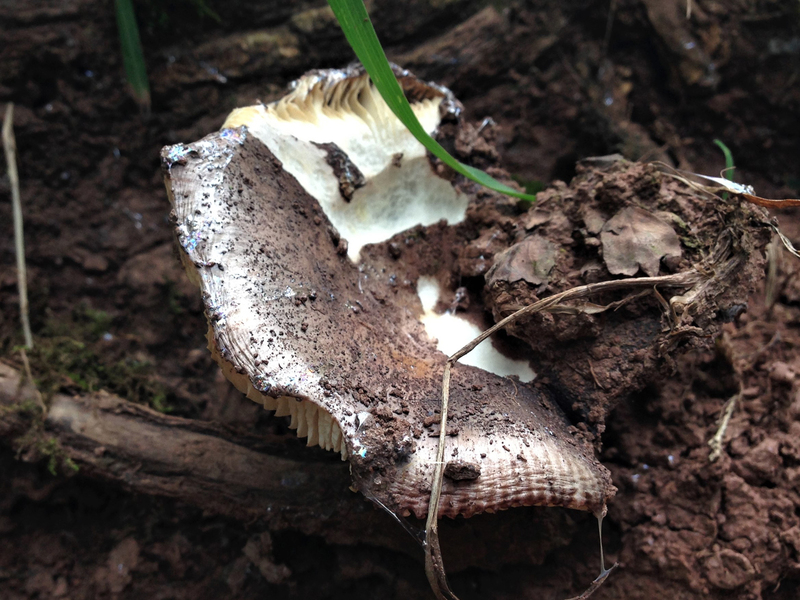 The Russula family split from other mushrooms, evolutionarily, many years ago and have round cells instead of most other living organisms which have elongated cells, this gives Russulas the common name Brittlegills as the cells make the mushroom brittle.